A record 160 young future entrepreneurs attended the Tempus Conference this year. 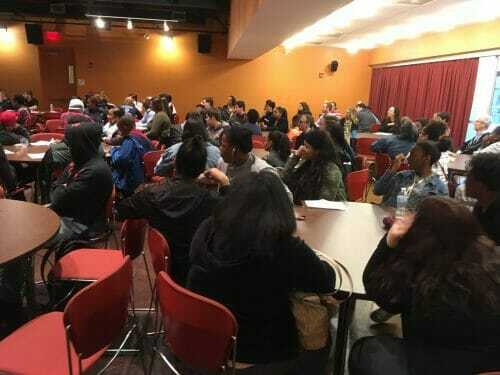 Organized by Trellis at Thomas Jefferson University’s East Falls Campus, this seventh Tempus Conference attracted students from Philadelphia, Chester County and one school in Delaware. About 20 entrepreneurs, from recent college grads running their first business to seasoned veterans and international business CEO’s shared the responsibilities for guiding students’ work on such topics as ‘Customers and Problems’ and ‘Competitive Analysis and Unique Proposition – What Makes Your Business Idea Better and Likely To Succeed?’ Many thanks to our partners at BuildEd, NFTE and the Business Center for their help making this year such a great event.